Now in existence for over 62 years, Annunciation Catholic School continues to strive to bring academic excellence to our community. We hope that you will be able to take part in helping students in need get the catholic education they are seeking. We have 60% of our student population receiving financial aid. We want to continue the mission and possibly help more. 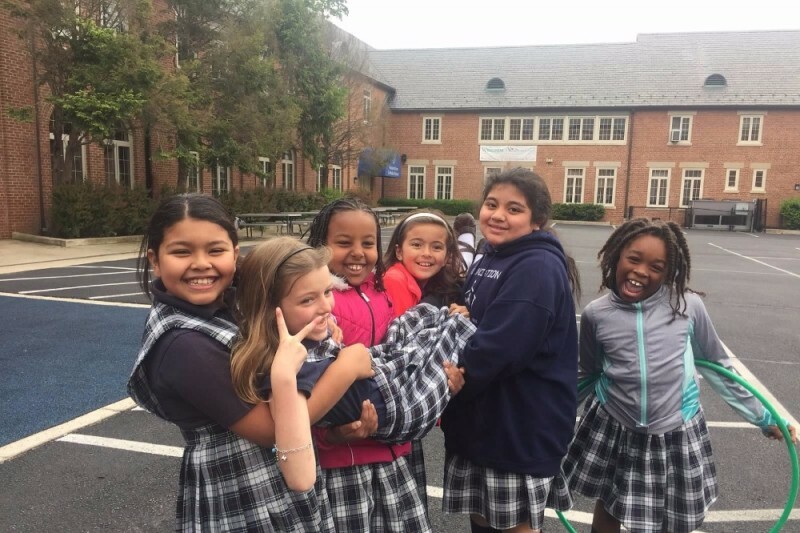 The mission of Annunciation Catholic School is the development of the complete student through a community based on the Catholic life values of message, worship, community, and service. Our small, inclusive class sizes and individualized instruction help customized our academic rigor and promote self sufficient, life long learners. At ACS every child matters. In order to meet our mission and provide affordable education in our community, we rely on the generosity of individuals and businesses for support. Without the assistance of community-minded individuals just like you, we wouldn't be able to serve those students each year. We ask that you make a commitment to support our annual appeal for "Sponsor a Child". Our goal is $150,000, and we hope that you will be able to make a contribution. Your generosity will make a difference in a student's life by allowing us to continue in our work to educate the whole student. Remember that every donation makes a difference, regardless of size. Fantastic idea for a fantastic school!